This is single cask no. 88 from Maltbarn. It is from an ex-Bourbon cask and only 132 bottles were made. White fruits and frosting in the smell. Sweet crisp apples and just a hint of floral notes. Warm apple pie and honeydew melon in the end. The oak is coming through and mixes with the white fruits in the taste. Some caramel and honey to go with the oaky notes. The flavours seems to be even richer in the finish, and they stays for quite a while! Especially the caramel and oak is last to leave the party. A great example of a light, fresh and old Bourbon matured whisky! 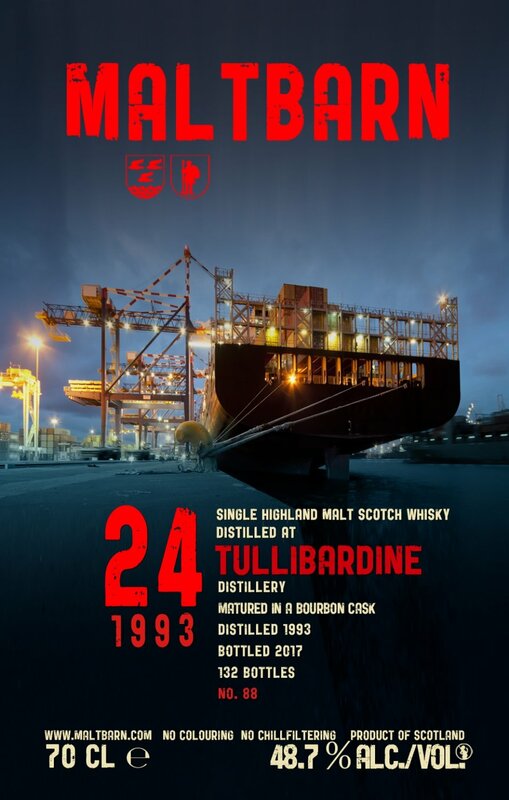 So much flavour coming through and the casks have really given this whisky a lot of character over the 24 years. I will give this 87/100 (21/22/22/22).